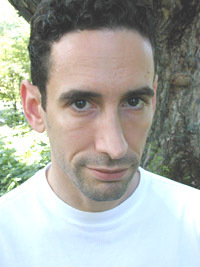 Rushkoff considers himself ethnically Jewish but is himself an atheist. "But I think that a certain part of Judaism is over. It's only our attachment to the pain and suffering of our ancestors that keeps this part alive. We endured so much pain, and we have experienced such terrible persecution, that we feel responsibility for the Jewish word, the Jewish name, and our connection to our tribe." (undated interview, Jewish Public Forum). He explicitly denies the God, however: "God doesn't exist, never did, and the closest thing we'll ever see to God will emerge from our own collective efforts at making meaning." (Rushkoff weblog, 30 April 2006).